Dress Christmas tree with ball in Christmas time. hd00:24Miniature Train under Xmas Tree at Night with Christmas Lights. 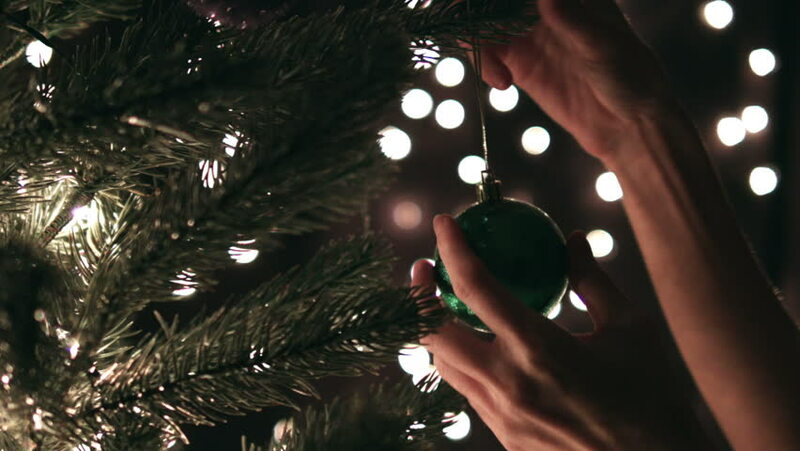 4k00:09Female decorating the lights on a Christmas tree with bokeh lights background.